 The Fourth Grade program at Dade Christian School challenges students to reach their full potential as they develop their skills in the intellectual, spiritual, physical, and social realms in a fun and loving educational environment. Our curriculum is a thoroughly integrated, academically balanced program with a consistent Christian emphasis. Bible, Language Arts, Phonics, Reading, Math, Science, History, Spelling, and Penmanship all represent the subject areas. An emphasis is also placed on social interaction among the students, giving them opportunities to develop social values; respect, sharing, group acceptance, independence, and dependability. The purpose of Bible class is to expose the students to tools for Bible study and to present traditional doctrinal subjects. The students will gain an understanding of these doctrines as well as how the doctrine applies to them personally.